Orbital energy that is dissipated as heat in either the surface ocean or interior of a planet is known as tidal heating. The orbital energy generates internal friction, which heats its interior. Tidal heating (also known as tidal flexing) occurs through this tidal friction. During the Apollo age it was assumed by scientists that planetary bodies contain primarily the heat of their formation (accretion) and some residual isotopic decay. This initial heat, it was thought, would be gradually lost over time. Earth’s moon and Mars were both thought to be small planetary bodies which had lost all of this primordial heat and thus were considered cold “dead” bodies. The earth was thought unique being the only “active” planet in the solar system with its plate tectonics, volcanic resurfacing, and biological life. Earth was assumed to still have its heat of accretion only because of its relatively large size. In general, no evidence of a secondary heat source such as tidal heating was known and theoretical modeling of tidal heating didn’t seem to find it a significant contributor to overall planetary heating. Post-Apollo exploration of the solar system has made us aware that tidal heating caused by the gravitational pulling and tugging between two planetary bodies is very much a factor in planetary resurfacing. What Does Io Tell Us? 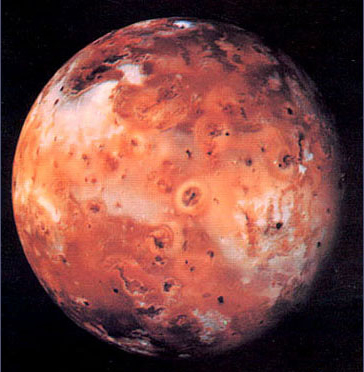 The Voyager flyby in 1979 of Io, Jupiter’s innermost moon, introduced a revised concept of tidal heating. We’ve learned that gravitational stresses produced by Jupiter cause the heating of Io and Io is now recognized as the “most” active planetary body in the solar system. Io’s episodic heating cycle results in massive heat loss in the eruptive phase, as heat is dumped onto the surface through basaltic outpourings. This loss of internal heat cools Io, making it less responsive to Jupiter’s tidal pull, thus reducing the effectiveness of tidal heating. The heating cycle then begins again with heat building until there is another eruptive phase; the process eventually results in the resurfacing of Io with layer upon layer of flood basalts. Thus, Voyager “proved” tidal heating is an effective energy-transfer system. 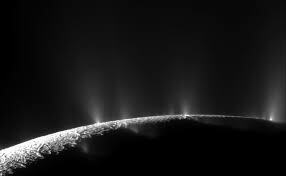 Other bodies have since been found to be impacted by tidal heating as well, most recently Saturn’s moons, Enceladus and Dione, which have both shown evidence of geysers. Tidal heat is manifested in volcanic activity and surface melting, generally resulting in resurfacing of planetary bodies affected by tidal stresses. Tidal heating in some form may well be active in Mercury, Venus, Earth, Mars, Galilean satellites, and Saturn’s moons. 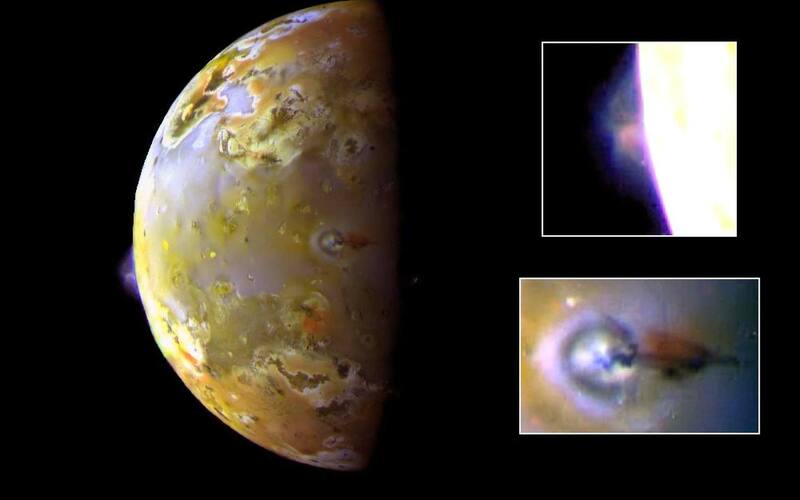 Io is now considered the “most geologically active body in the solar system”; New Horizons photographed a 200-mile-high plume from Io’s volcano Tvashtar glowing lava and gas pockets. 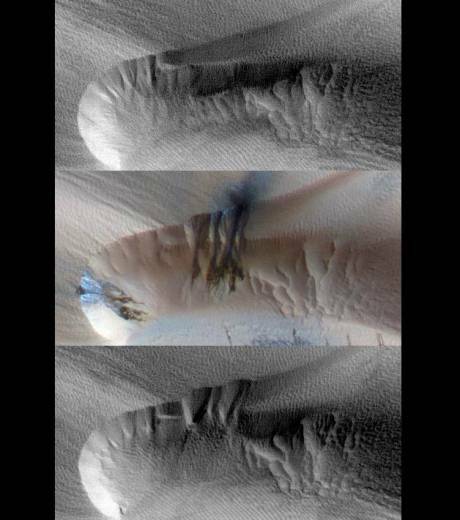 Volcanic activity on Mars appears to have continued into the present and the discovery of slope wash and alluvian deposition, possibly deposited within last 5 years, indicate an even more active Mars. Venus has been found to have large volcanoes and Triton has been found to have cryptovolcanoes. Overall, flood basalts in the solar system are much more common than once thought and have been found in many cases to be significantly more recent than had previously been believed. The nature of Io’s heating reveals how tidal heating would be expected to play out in the earth-moon system during a close approach of the moon to the earth. 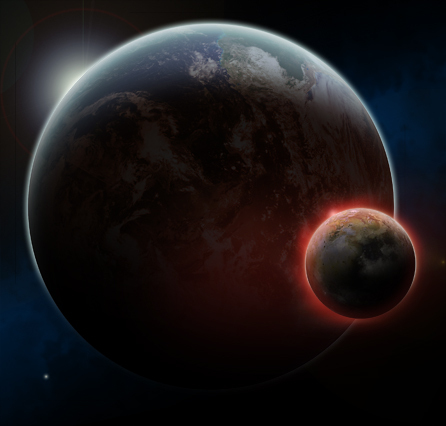 Tidal heating in the earth-moon system would impact both bodies. Geologic evidence of a tidal heating event on the earth and moon, expressed by the outpouring of basalts, could confirm a close approach of the moon to Earth and allow for a correlation of this event with the earth’s geologic timescale. This mechanism for “reheating” of the earth-moon system provides the energy source that drives the earth’s current dynamic systems and thus offers an explanation for why the earth has remained so geologically active. Although the moon is not appreciably heated by tidal heating at its current distance from the earth, the potential impact of tidal heating at the previously close distance should be investigated. We know when Earth’s greatest flood basalts were formed (at the P-T Boundary 250 million years ago) because we have Earth’s geologic table readily accessible. Is it possible that the lunar mare were formed around the same time by the same forces? There are similarities between lunar flood basalts and the earth flood basalts that have long intrigued lunar scientists.